1st and 2nd August ONLY - weekend offer. Lidl have their 200g bags of tortilla chips for only 32p. Choice of either cheese flavour or natural. They also have dips at half price - 300g jars for only 34p - for your tortilla chips. Choice of flavours, sour cream and chive or hot or mild salsa. Single red peppers for 27p each. Meat offer seems to be pork loin medallions - 400g for £1.39. 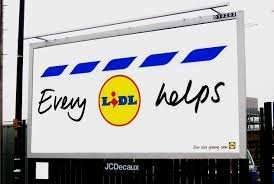 Meat offers can be different on location, so please check your local store and post if different. waiting for the half priced diced chicken. must be soon. getting fed up with pork! Tesco everyday value salted chips contain less salt? Doubt it lol. Plus salted vs cheese or chili or cool flavour isn't really a fair comparison. Oh a cheap way to get fat and clog up the NHS. 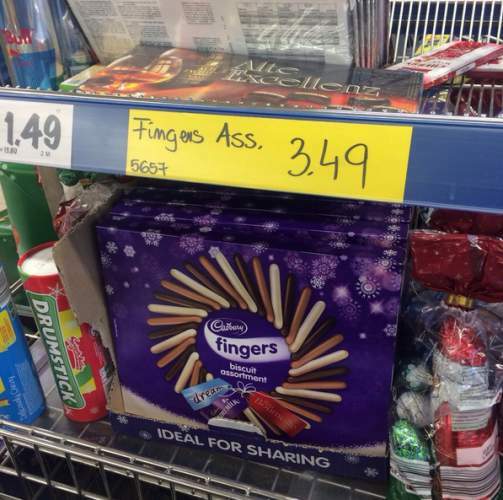 Cadbury chocolate fingers assortment @ £3.49 too. LMAO love that sales label. Brilliant price for the Salsa not to high on saturates or salt either, I mix it with Quinoa for tasty lunch salads I'll have to stock up this weekend! Tesco everyday value salted chips contain less salt? Doubt it lol. Plus … Tesco everyday value salted chips contain less salt? Doubt it lol. Plus salted vs cheese or chili or cool flavour isn't really a fair comparison.